In the world we live in, it’s hard to find time to stop everything and take stock of how we feel and what we are thinking in a clear and calm manner. We work, whether in an office or at home; we socialize with friends and family, and we go through various stresses in life that we either learn to carry with us, or learn to let go. Part of managing daily life, is learning how to cope with emotions, thoughts, and situations. A few months ago I was introduced to the art of meditation, in addition to a yoga practice I had begun. To be clear, meditation is its own independent element and does not have to be done in conjunction with a yoga practice. Initially meditation proved to be very difficult for me. I have a mind that races a mile a minute sometimes, and thoughts that jump in and out of my mind like a monkey swinging off a branch. The hardest part for me was learning to control my thoughts and shifting my focus on one particular thing during my meditation. In order to get started on my meditation journey, I learned these steps to make sure that I get the most out of my time, while being as open about it as I could. There is no right or wrong way to meditate, it’s an entirely individual practice that every person does in their own, because there are no two minds that are alike. Start with doing it for two minutes every morning, and as you continue with it you make the meditation longer as you see fit. Make sure you are in a comfortable pose in a room that has little distraction (not sure if the television was on that I would be able to really meditate). A lot of people worry about how their sitting, what they’re wearing, if they are doing it right. It’s important to remember, there is no right or wrong way – just do it. Sit on the floor with a cushion or on your bed, wherever you are most comfortable. Now that you’re comfortable, close your eyes and see how you feel. At any given moment I have a plethora of emotions running through me, some more prominent than others. When I take the time to scan how I feel, I try to focus on how best to counter it. For example, if I am anxious, I think about what is making me feel that way, and when the thought comes up during meditation (and it will) I choose to close the door on it. Once my emotions have been scanned, I begin with focusing on my breathing. This is the most helpful thing for me to do to not only start my meditation practice, but to come back to it when my mind wanders off during the session. Breathe through your nose, as deeply as you can. I learned that we only use about 10% of our lungs in our daily breaths, so I have been told to try and expand my lungs as much as I can, breathe in as much and as slow as I can, and release just as slowly. This act of breathing fully also warms the body up and releases tension. 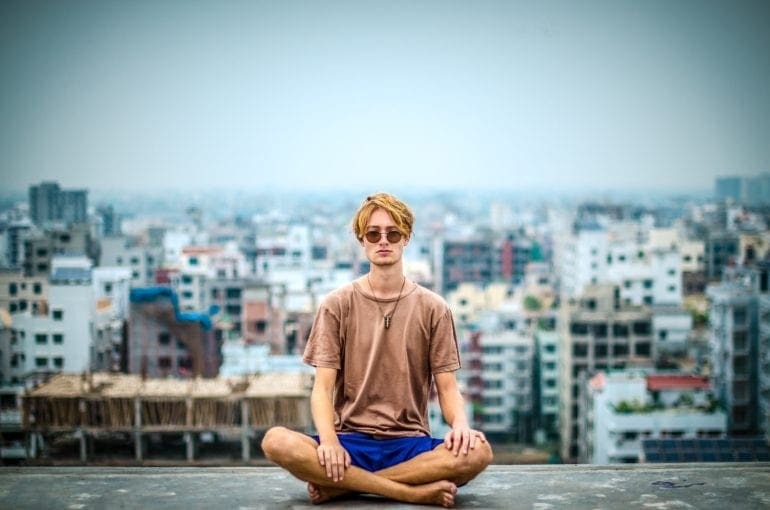 During meditation, I use my own technique to clear my mind – I focus on a color and only on that color, not letting any other thoughts pop into my mind. Sometimes it works, other times it proves to be more difficult, and when thoughts do come in, I don’t fight them, there may be a reason I chose to have them enter at that time; after all, it’s me and me alone that is in this meditation. When I find that my mind does wander (and it always does), I focus on my breathing again, listening to my inhale and exhale and envisioning my color if I need the added support. Controlling my mind into being as empty as possible is a very active thing in the beginning, but over time it got easier, almost like a form of exercise. One of my favorite things to do, other than meditating by myself, is using guided meditation. 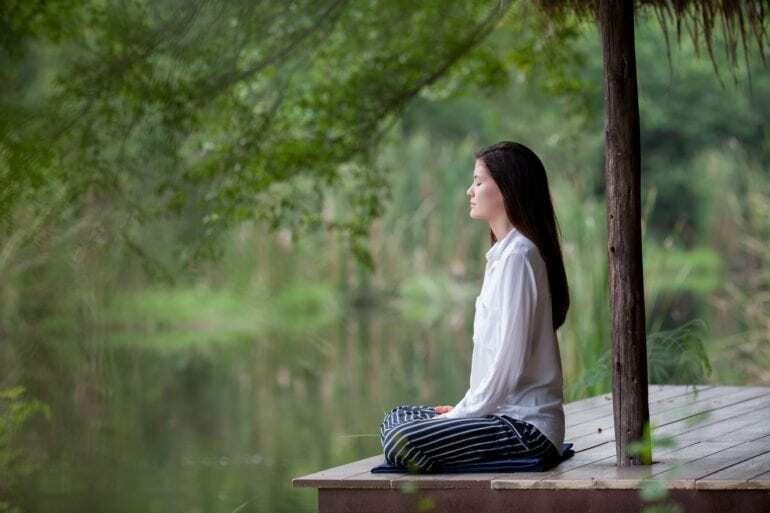 You could follow, as I do, any number of guided meditation videos (which you would listen to and not watch, obviously) that guide your mind through a full meditation session – they are the best.